Apple is making it clear that 32-bit apps on the Mac are going away and the future will be 64-bit only. 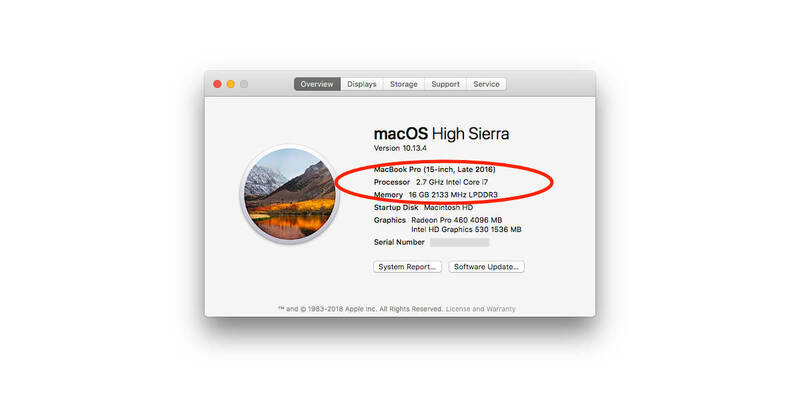 So how to you tell if your Mac has a 32-bit or 64-bit processor? Read on to learn how. 64-bit processors can access much more memory than 32-bit processors. They can also potentially handle processor requests more efficiently than their 32-bit counterparts. Apple decided years ago to transition into 64-bit processors exclusively for the Mac, as well as the iPhone and iPad. macOS has been 64-bit and 32-bit since 2005, and generally speaking if you purchased a new Mac in 2007 or later, its processor is 64-bit. To see if your Mac’s processor is 32-bit or 64-bit, go to the Apple menu and choose About This Mac. Below the operating system version and computer model name you’ll see your processor. If you don’t see your Mac’s processor in the About window, click System Report and select Hardware at the top of the column on the left. You’ll see your processor name in the Hardware Overview. macOS has been 64-bit for years, but also supports 32-bit apps. That’s going to change soon, although Apple hasn’t announced an exact date yet. As of January 2018, all Mac App Store submissions must be 64-bit. Apple has started displaying alerts when you launch 32-bit apps on your Mac, too. If you plan on staying up to date with macOS and your apps, 64-bit compatibility is a necessity. Considering how long Apple has been building Macs with 64-bit processors, there’s a good chance you’re good to go. If you’ve only got a 32-bit Mac then you’re already stuck on Mac OS X 10.6. Even some early Core 2 Duo models (late 2006 iMac) look to be limited to 10.7. Yes, that’s 12 years ago, with very few Security updates since.